At What Age Should Your Child See an Orthodontist In Arlington? Around 75% of children need orthodontic care by the time they reach their teen years. Braces have been successfully used for many decades and provide reliable, predictable results for kids and adults alike. 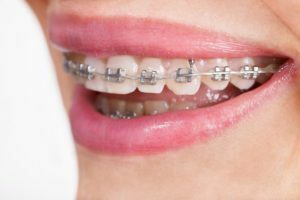 Regardless of what kind of bite or alignment issues your child has, braces can help! However, many parents aren’t sure what age their kids should get braces. In this blog, you’ll find out when you should schedule a consultation with an orthodontist in Arlington to make sure your child gets treatment at the best time for them. Learn more below! Comments Off on At What Age Should Your Child See an Orthodontist In Arlington? Your kids will have quite a few “rites of passage” before they reach adulthood, including getting their wisdom teeth taken out! Although it may not be a procedure you or your child are looking forward to, you’ll be glad to know that wisdom teeth extractions are easier than you might think and also protect long-term oral health in many ways. 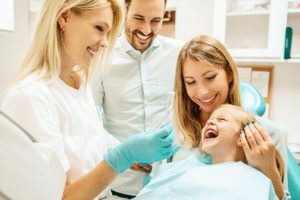 Common questions parents ask a kid’s dentist in Arlington are when their child’s wisdom teeth will come in and what they can expect from the procedure. In this blog, you’ll get answers to both questions – learn more below! Is Teeth Whitening for Children Safe? When you think about discolored and stained teeth, you might believe it is an issue that only affects adults. Unfortunately, you may have noticed your child’s bright smile has started to lose its luster. If their teeth have darkened, it is common to wonder if teeth whitening for children is safe to restore their beautiful smile? Generally, it is safe to use under certain circumstances; therefore, you should always consult with their pediatric dentist first. 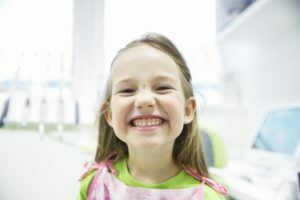 Comments Off on Is Teeth Whitening for Children Safe? How Does Missing Teeth Impact My Jawbone? Over the last several decades, new innovations in dentistry make it possible to preserve natural teeth for longer. 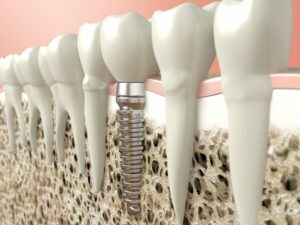 Despite these advancements, tooth loss remains a common problem. In fact, 120 million Americans are missing at least one tooth. If you are among those who now have an incomplete smile, your quality of life has significantly declined. The new daily struggles you face are not the only complications that are occurring. Your jawbone is also deteriorating. If you do not replace your missing teeth right away, you will live with lasting consequences to your oral health. Comments Off on How Does Missing Teeth Impact My Jawbone? 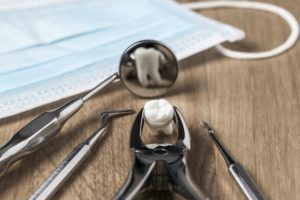 Can I General Dentist Perform a Wisdom Tooth Extraction? If your dentist has recently recommended you have a wisdom tooth extraction, you are not alone. 10 million wisdom teeth are removed every year. Although the procedure is common, it is only recommended when your oral health is compromised, such as due to overcrowding, infection, or an impacted tooth. To have your wisdom teeth removed, you may not know where to turn. In some cases, your general dentist can perform the extraction; however, some instances may require the skills of an oral surgeon. Comments Off on Can I General Dentist Perform a Wisdom Tooth Extraction? 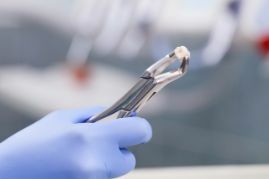 Why Do I Need an Oral Surgeon for a Tooth Extraction? Every tooth in your mouth is vital to your oral health and functions, which is why your dentist makes every effort to preserve them for as long as possible. Unfortunately, there may come a time when they recommend you have one removed. Although you had expected it to be a simple process, you need an oral surgeon. 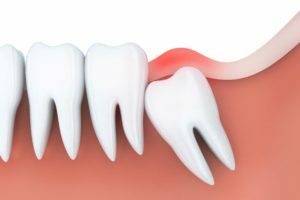 Contrary to common belief, not all extractions are the same. There are times when a tooth must be surgically removed. Comments Off on Why Do I Need an Oral Surgeon for a Tooth Extraction? Do I Need a Wisdom Tooth Extraction? Between the ages of 17 and 25, a third set of molars erupts, known as your wisdom teeth. In the past, they were used to help us grind food; however, over time our bodies changed, and they are no longer necessary. Now, our jaws are narrower, so there often is not enough room in our mouths to accommodate the additional teeth. As a result, several issues can develop that can lead to needing them removed. While there is no set age to have a wisdom tooth extraction, it is best to have them taken out early to prevent complications from developing. Comments Off on Do I Need a Wisdom Tooth Extraction? In addition to brushing and flossing at home, the health of your smile also relies on the care you receive from your dentist. The American Dental Association recommends you have a cleaning and checkup twice a year to keep your teeth and gums healthy. Unfortunately, if you are like one-third of Americans, you did not schedule an appointment last year. You do not have dental insurance, so you worry about a large bill. You have nothing to fear. You can get the care you need with Dental Discount Plans from Allheart Dental Implants & Orthodontics. 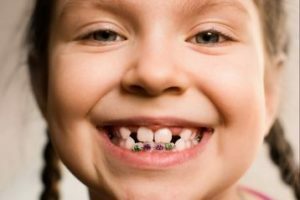 Does My Child Need Braces from an Orthodontist in Arlington? As a parent, you have several important decisions to make throughout your child’s life, such as which school they will attend and choosing a great family doctor. As they age, you will be faced with another choice to make—whether they need braces or not. Often, it is believed that they only offer cosmetic benefits. While this is true, there are several other advantages to braces, such as a proper bite and improved oral health. To help make the right choice, it is best to schedule a consultation with their orthodontist in Arlington around the age of seven. Comments Off on Does My Child Need Braces from an Orthodontist in Arlington?